Passback Training Football - The Passback Training Football is now recognized as one of the leading “FootBall” Training Aids in the World. Allowing athletes at all levels to practice anytime, with an unlimited amount of reps.
Today the Passback Football is now recognized as one of the leading “FootBall” Training Aids in the World. Allowing athletes at all levels to practice anytime, with an unlimited amount of reps.
We are focused on helping athletes all around the world improve their game-day performance by developing speed, power, agility, reaction and quickness. PassBack Football is football's most innovative tool allowing athletes to improve their game to take them to the next level. For more information and to see how it works visit Passbacksports.com. GAIN YOUR TRUE POTENTIAL. 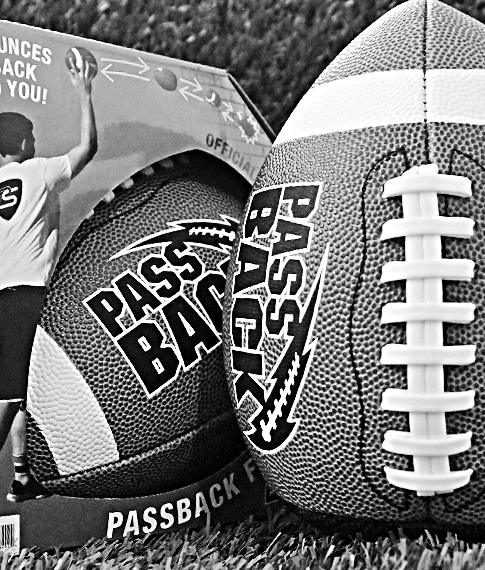 Passback Football allows you to reach your true potential by practicing passing & catching when ever you want. MORE REPS, MORE CONFIDENT. Practice with Passback so when game time comes, your ready to make the big play. ANY LEVEL. 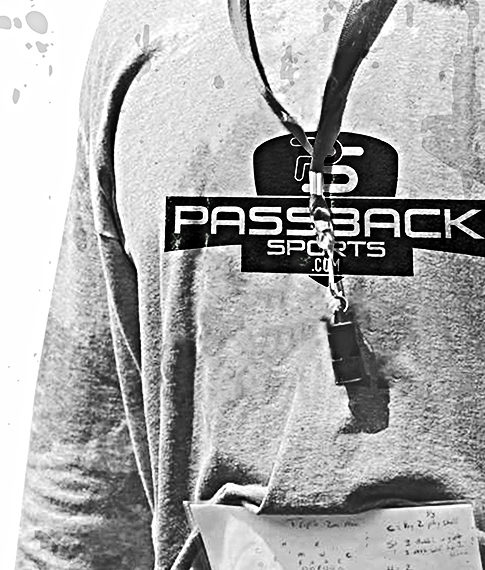 Passback allows you get better in every phase of your football career. INVEST IN YOUR GOALS. Passback is dedicated to helping athletes of all levels reach their goals. STAY ACTIVE. Passback Football is a great training aid that keeps kids off the couch while having fun by themselves or with friends. After throwing our Passback Football against a hard surface, the flat end allows it to bounce right back to you. Increase your Passing and Catching with unlimited reps in a shorter amount of time. be ready when gametime comes. Incease you hand-eye coordination with the Passback Football. to incorperate Passback into their training programs. To learn more call us today at 888-704-1340. If you would like to learn more about our wholesale prices. Give us a call today at 888-704-1340.